surrender of one's ancestral heritage, and all the values that one held sacred, of forcible subjugation, of curtailment of the individual right to choose one's god and method of worship. To live in Muhammad's Arabia, one had to give up the most cherished possession of human existence; that of the individual right to freedom of religion. Arabia's Vedic culture had been slashed and ravaged to a state of tatters. In place of the tradition of spiritual tolerance and growth that defined Sanatan Dharma, Arvasthan was now the political center of a fanatical creed that ruled by the sword and held dear the values of extortion, greed and murder. As we have seen, the Prophet was completely unsuccessful in his Siege of the city of Taif . He therefore ended the campaign with the bitterly vituperative act of arson. Muhammad gave vent to his rage by setting fire to every tree around Taif, knowing fully well that such an act was defined as mass murder in the dry desert environs of Arabia. The Prophet was determined not to allow the Tribe of Thaqeef to survive. In order to implement his murderous intentions, Muhammad exhorted the subjugated Tribe of Hawazin (refer to Battle of Hunayn, Vedic Past of Pre-Islamic Arabia Part VII) to mercilessly harass the fortified city. All of the Thaqeef's herds were stolen at their pastures and all links to the trade with Mecca were severed. Isolated, starved and surrounded by death on all sides, the brave Thaqeef held on to their beliefs and subsisted on dry dates and water for at least one year. The morale of the Tribe collapsed steadily as they watched their children die day by day succumbing to starvation and disease. Those who were of the weakest character, gave in and secretly set out to negotiate terms with Muhammad. Their deputation was led by Urwa Bint Masud Al Thaqafi . Urwa the traitor accepted Islam and emboldened by his new found lease on life, ventured back to Taif to "invite his people to the true faith". Upon his return, when Urwa "went up to the room to show his people the Way of Islam", he was bombarded with arrows and died a traitor's death. The ferocious Thaqeef fought like heroes to the last to preserve the sacred honor of their beloved Mother Goddess, Al-Lat. In the end of course, even the mighty Thaqeef could not last, they were compelled to send a deputation of six chiefs to negotiate peace with Muhammad. The chiefs were clear in their demands to the Prophet . In exchange for peace, they demanded that their holy territory of Wajj remain untouched, they would not break the idols of their beloved goddess Allat, no more trees could be cut down and the Thaqeef would retain their vineyards. Muhammad in his greed for the prosperous prize of Taif agreed, he even signed the treaty as Muhammad Ibn Allah foregoing the usual status of "Messenger of God" Allah at the insistence of the Thaqeef . It is another story of course, that he had ulterior motives in mind. Weep! Weep for our protector! Whose swords need a corrector. Every scrap of gold, jewellery and gems was plundered. Women and children were enslaved, the only ones who survived were those who were weak enough to bend at the threat of the Muslim sword and convert to Islam. There were many other Temples in the vicinity of Taif , all of which were plundered, then destroyed or converted into mosques. Most of the temple fragments were buried underfoot so that the Prophet could satisfy his constant burning need to vituperate and insult the religion of his own ancestors. Among the temples that fell prey, were most of the shrines of Ruda (Rudra or Lord Shiva), Allat and Al-Uzza (forms of Shakti). The consistent appearance of Temples dedicated to the divine couple of Shiva-Shakti throws light on the essential spiritual principles that the Hindus of Pre- Islamic Arabia upheld. Numerous instances support the preeminence of Shiva-Shakti worship in Arabia. The most obvious example is that of the Kaaba in Mecca. and the nose from the light of Kuber . The teeth were formed from the light of Prajapati, the lord of beings; likewise the Triad of her eyes was born from the Light of Agni (fire). The eyebrows from the two Sandhyas (sunrise and sunset) ; the ears from the light of the wind(Vayu). From the lights of other gods as well, the auspicious goddess was born. Projecting an overwhelming omnipotence the three eyed goddess adorned with the crescent moon with her eighteen arms each holding auspicious weapons, emblems, jewels and other gifts offered by individual gods, emerged. With her pulsating body of golden color shining with the splendour of a thousand suns, standing erect on her lion vehicle (vahana) and displaying her triumph over the dark forces (shown in the form of a demon under her feet), she stands as the most spectacular personification of cosmic energy. The architectural elements of the Kaaba Temple consisted of a square block of black stone, crested by a crescent and sphere, which is encircled by 360 shrines. This is an exact representation of the Tantric Cit-kunda Yantra. Each element of the Yantra was represented in the Kaaba complex. The circle or Bindu symbolizes Shakti , it is embraced by the crescent or Shishu which symbolizes Shiva. This divine marriage shows the pure pre-creative stage of evolution. The beginning of creation is an omnipotent all-pervading cosmic principle – Shiva embracing his potential power -Shakti . Thus the crescent and moon symbol is the sign of the Self, which is aware of its inherent dynamic power. The four points of the square stone represent the four aspects of one's psyche: the pure self (atman), the inner self (antaratman), the cognizant self (jananatman) and the supreme self (paramatman) . The circle around these symbols represents both the wheel of time (the Vedic year consisted of 360 days) as well as the astronomical map of the universe and its 360 major heavenly bodies. The Kaaba in its symbolism therefore represented all the cosmic principles of the universe. It is the height of absurdity to call proponents of a culture that was capable of producing monuments such as these, as "superstitous polytheists and uncivilized pagans". The fact is that the Prophet of Islam destroyed a culture that was vastly superior in all scientific, spiritual, humanistic and symbolic respects, to his brand of theocracy. Ironically the word "Pagan" which has come to mean animalistic, has its very roots in the malpronounciation of the word "Bhagwan" (Divine God). that the Kaaba is based upon. There is even more evidence that clearly suggests the conclusion that the Arabs used to worship different forms of the Divine Couple, Shiva-Shakti in many forms. Archaeological remnants of the Nabataeans who inhabited Arabia in the Pre-Islamic era, demonstrate that the chief deities were Dhu-Shara and Al-Uzza. As we already know Uzza was none other than Oorja or Shakti and since Du-Shara was her husband, it is quite logical to conclude that Du-Shara is a corruption of "Deveshwar" which is a Sanskrit synonym for Lord Shiva . Herodotus in his Histories also says of the Arabs " They deem no other to be gods save Dionysus and Heavenly Aphrodite … they call Dionysus Orotalt and Aphrodite Alilat" (Negev 101). Alilat was again the corrupted version of Allat who as we know represented Alla (Durga). Dionysus her husband has all the traits of Shiva as well. Lord Shiva was known to have intoxicated followers called "Ganas". He was also known as "Pashupati" (lord of the beasts). He is always depicted wearing a Tiger Skin. The greatest clue to the Shaivite origin of Dionysus lies in the undeniable title of "fertility god". Just as the Shivling represents the creative energy, so too were phallic symbols made to represent Dionysus, the fertility God. Another clue that supports this conclusion is the fact that Du-Shara is represented as being surrounded by dolphins, as is Dionysus. It is quite plausible to suggest that Du-Shara and Dionysus were names for Lord Shiva and that their spouses Al-Uzza and Al-lat respectively, were names for Shakti. "The heavenly form of the mighty Lord is made of stars and shaped like a dolphin with Dhruva (the Pole Star) in its tail. This dolphin shaped constellation which is the pathway of the stars' fixed abodes has its hub in the heart of the Lord. The sun, moon, stars and nakshatras together with the planets are bound to Dhruva in the tail of the Dolphin by fetters made up of a series of winds". It is quite obvious that the Dolphin shaped constellation which represents the Hindu concept of the cosmos is the basis for Nabatean representations of dolphins in their sacred temples. They represented Du-Shara wielding a trident along with his consort Al-Uzza seated on a lion, surrounded by dolphins. The entire divine scene thus symbolized Shiva-Shakti and the shape of the spatial universe as envisioned by Vedic culture..
Dhruva himself was venerated in many Arab temples. He was worshipped as Duar in the Kaaba complex, where many other astronomical deities were revered. The Navagrahas or nine planets of Hindu cosmology each had an individual shrine dedicated to them in the Kaaba. We know the Arabic names for at least five of them. The parallels are far too numerous to overlook. The Vedic theme that underlies the Kaaba and many Arabic temples, is apparent, when we add up all these fragments of evidence and consider them as a whole. The fact that Muslim scholars have over the centuries tried their best to erase all such pieces of evidence speaks volumes. These irrefutable testaments to the Vedic origins of Arabia, were erased off the face of the earth by the Prophet of Islam in his quest for supremacy. Although only a few traces could survive the destructive assault of Islam, the truth still echoes from the silent remains of Nabataea, Sabaea, Palmyra and Dura-Europos, which eloquently tell of Arabia's past. The stories that these ruins whisper have been ignored for centuries, it is time that they too were heard and given their rightful place in the history of Vedic civilization and the world. Note: The Works "The Life & times of Muhammad" by Sir John Glubb, "Mohammed" by Anne Carter, "Yantra, the Tantric symbol of Cosmic Unity" by Madhu Khanna, "Deities and Dolphins by Nelson Glueck, "Classical Hindu Mythology" by Dimmitt and Buitenen, and "Hindu Temples: What Happened to Them? – Volume 2" by Sita Ram Goel have been used to compose this article. The reciting of various chapters of Valmiki Ramayana is prescribed in many scriptures as a remedy for many things.Uma Samhita prescribes reading once a day some canto to the other from Valmiki Ramayana for each Mahadasa. இடது நாசிச்(.இடது பக்க மூக்கு) சுவாசம் சந்திரகலை எனவும், வலது நாசிச்( .வலது பக்க மூக்கு) சுவாசம் சூரியகலை எனவும் அழைக்கப்படும். சந்திரகலையை மதி/இடகலை/இடைக்கால் எனவும், சூரியகலையை பிங்கலை/பின்கலை/வலக்கால் எனவும் அழைக்கப்படுவதுண்டு. இங்கு 'கால்' என்பது மூச்சைக் குறித்து நிற்கின்றது. அதனால் தான் 'காலனைக் காலால் உதைத்தேன்' எனச் சித்தர்களும் ஞானியரும் கூறுவதுண்டு. இங்கு காலனாகிய இறப்பை, காலாகிய மூச்சுக்காற்றைச் சுழிமுனையில் ஒடுங்கச் செய்வதன் மூலம் பிறவிப்பிணி நீங்கி ஒளியுடம்பு பெற்று மரணமில்லாப் பெருவாழ்வு/சகாக்கலை அடைதலைக் குறிக்கும். 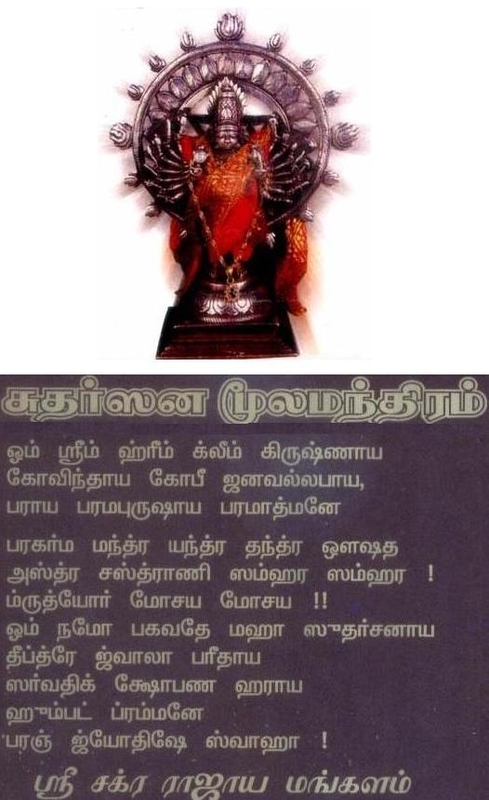 'விதியை மதியால் வெல்லலாம்' என்பார்கள். இங்கு மதி என்று கூறப்படுவது புத்தி அல்ல. மதி என்றால் சந்திரன். 16 அங்குலம் ஓடக்கூடிய சந்திரகலையை சுருக்க சுருக்க ஆயுள் விருத்தியாகும். 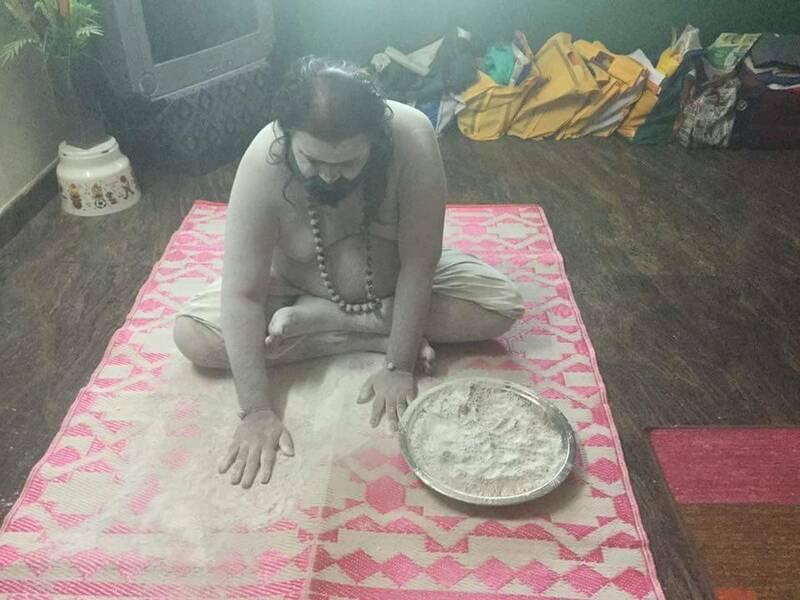 எனவே விதி முடிவும் விலகியே போகும். 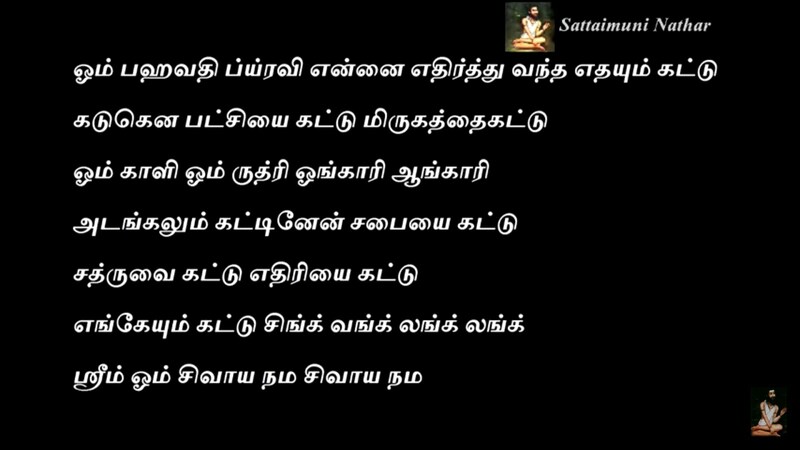 நன்றி. ஒரு நிமிடத்திற்கு 15 மூச்சு; மூச்சை உள்ளே இழுப்பது ஒரு பங்கு, நேரம் . உள்ளே அதை தங்கவைப்பது 4 பங்கு நேரம். 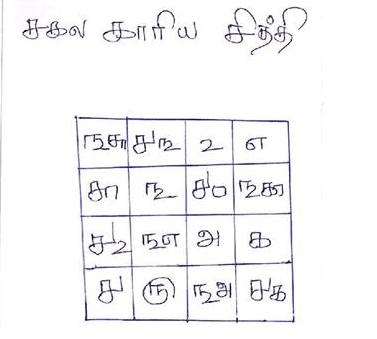 மூச்சை வெளியே விடுவது 2 பங்கு நேரம். இதுதான் பிராணாயாமத்தின் சாராம்சம். 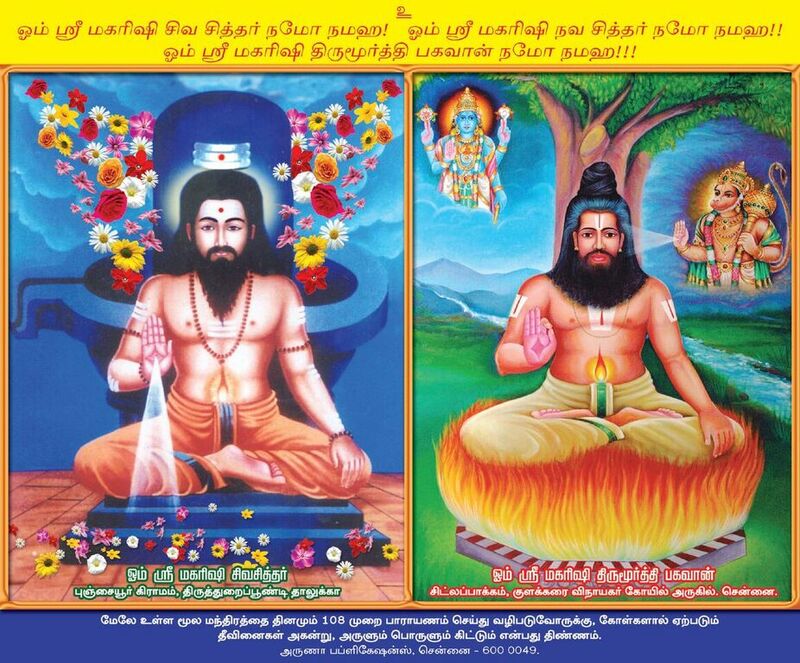 நமது நுரையீரலில் வலது, இடது என இரு பகுதிகள். வலது நுரையீரலில் 3 பகுதிகள், இடது நுரையீரலில் 2 பகுதிகள். நுரையீரல் 'ஸ்பாஞ்' போல காற்றுப் பைகளால் ஆனது. வலதுபக்கம் சாய்ந்து படுக்கும்போது, வலது நுரையீரலில் உள்ள 3 பகுதிகளும் அழுத்தப்பட்டு இடது நாசி வழியாக மூச்சுக்காற்று ஒரே சீராக உள்ளிழுக்கப்பட்டு உடல் முழுக்க 'பிராணா' சக்தி சீராகப் பரவுகிறது . 9 அங்குலமாக குறைந்தால் விவேகி ஆவான். சக்தியாக மாறி தேஜஸ் ஆக வெளியப்படும். இடத்திலும் ஆக 8 இடத்திலும் உண்டு.